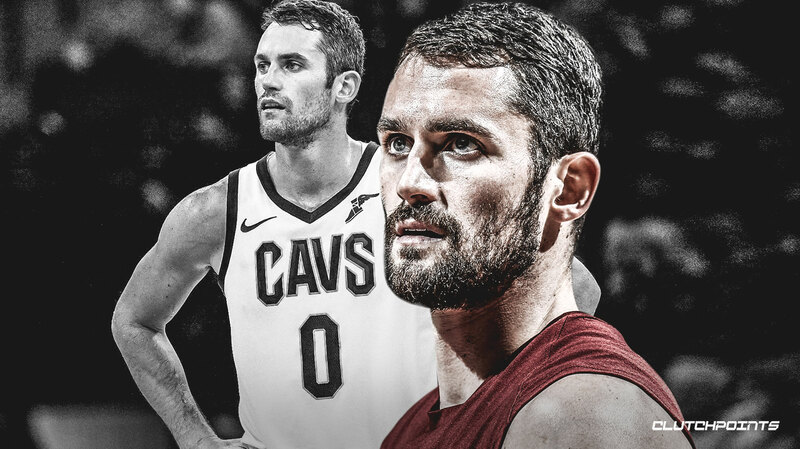 Cleveland Cavaliers big man Kevin Love had a goal of returning from toe surgery in the middle of January, but now, he is apparently rethinking those aspirations, according to Joe Vardon of The Athletic. Love underwent surgery at the beginning of November. At the time it was stated that he would be sidelined for at least six weeks, and we are well beyond that threshold by this point. In the four games in which he played before the operation, Love was averaging 19.0 points, 13.5 rebounds and 3.5 assists over 34 minutes per game while shooting 32.3 percent from the floor, 29.2 percent from 3-point range and 81.8 percent from the free-throw line. Over the summer, Love signed a massive four-year, $120 million contract extension with the Cavs, a move that raised some eyebrows considering Cleveland appeared to be in rebuilding mode after losing LeBron James. However, the Cavs apparently wanted to lock down at least one All-Star for the future. Regardless of the Cavs’ reasoning for the extension, it just doesn’t seem like a wise move no matter how you spin it. It’s not like Love is going to be attracting any free agents to Cleveland, which is not exactly a free-agent hot spot as it is. He is also already 30 years old and is likely only to decline from this point forward, so why pay big money for a declining big man when you are rebuilding? If anything, Love’s presence is going to possibly prevent the Cavs from earning the best possible draft pick, as it would be wise for them to tank (a bad word, I know) rather than try to win enough games just to try and contend for the eighth seed.